The latest projections of storm related debris cleanup costs are lower (see earlier report). 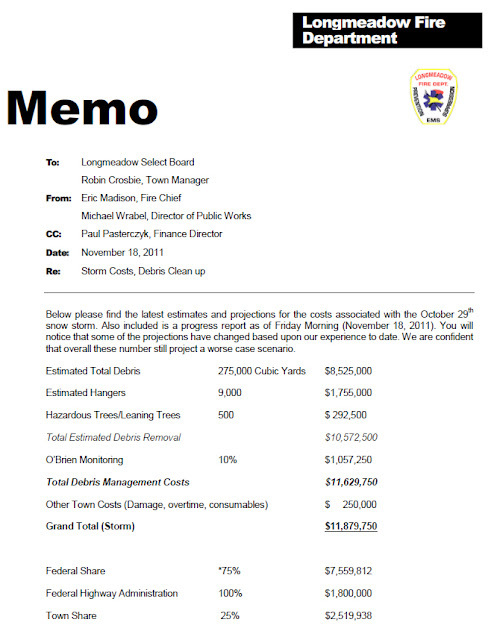 The total cost (worst case scenario) is estimated to be $11.9 million with Longmeadow's share after reimbursement of $2.5 million. Below is a summary report issued on 11/18/11 from Fire Chief Eric Madison.